tmrw | features | Is TV Dead? We always hear about Millennials ruining things. From the demise of the high street to being tagged as cereal killers, we’re always being blamed for something. But now, in the digital age, has our habit of streaming come at the cost of traditional cable TV? In the last couple of years, we have seen the radical transformation of TV. Once upon a time we’d all sit in front of black box with a small screen in anticipation for our favourite shows, but oh how times have changed. With the likes of Netflix, Amazon, Hulu and other giants, you can have all your favourite flicks packed into your own portable devices. 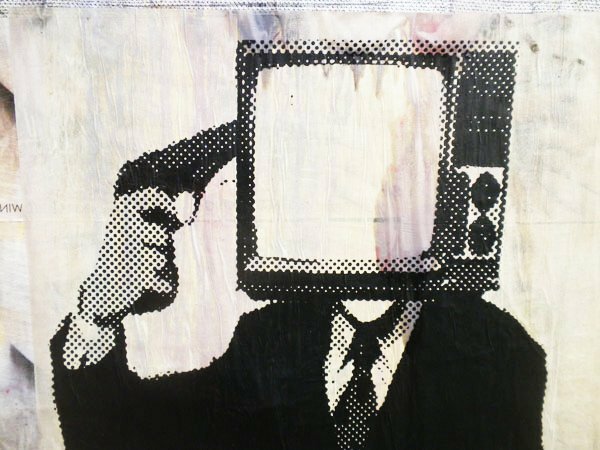 The death of cable of TV has been forecasted for a while, with writers predicting it in an Armageddon-like tone about how Millennials are paving the way to a ‘personal TV revolution’ and a more individualistic society separated by screens. But maybe this new take on TV is, as Harry Styles would say, a sign of the times. As it stands, the only true selling point for cable TV is global sports tournaments (the FA Cup, Super Bowl, Wimbledon, Formula 1), or network exclusive dramas such as BBC’s Doctor Who, but now even these big hits are available on streaming platforms with the likes of BBC iPlayer, ITV Hub and BT Sports Online. So it seems even with their continually adapting styles, cable TV continues to suffer while streaming sales boom. The rate at which viewers are jumping ship to streaming is only continuing to rise and this new generation effect isn’t just hitting the TV screen, but it’s also taking on Hollywood. As they recently announced, Disney are also throwing their hat in the ring after publicly unveiling Disney+, which is set to be released in 2019. The multimedia empire stands as a huge threat towards cable TV and Hollywood. Disney plan to put all their eggs in one basket and allow subscribers the opportunity to access everything including their Pixar, Star Wars, and Marvel movies. But if you thought it all ended there then you’d be wrong. Disney are also promising original TV shows like the already announced live-action Star Wars series and shows based around characters Loki and Scarlet Witch. Netflix are also pushing their platform following their recent deal with Paramount to ensure exclusive original content. Amazon are also closely following promising more of their own original shows, and YouTube even pushing their ‘Originals’ brand, it’s the fight you’ve been dying to see, sorry, I mean stream. Meanwhile, as the small screen undergoes what can only be likened to an existential crisis, it’ll be interesting to see how Hollywood takes on the plummeting sales of tickets brought on by the threat of streaming. Streaming could be the opportunity to break the vicious cycle of cliché cinema and give new, creative, independent films a better chance on platforms like Netflix and Amazon. To All The Movies I’ve Loved Before, maybe it’s time to diversify your conventional blockbusters and reboots or risk losing the game. Maybe we could all learn a thing or two from The Big Short. All in all, there’s no doubt the shifting dynamics of film and TV sounds like something out of Black Mirror, but this is an interactive episode you can’t quite turn off. Maybe Millennials are ruining TV and film, but it looks the industry is set to last another season.